Picked the first green beans of the year on Sunday, June 1. I can’t believe I’m still harvesting peas. ‘Cascadia’ seem to be doing very well. Tomatoes and physalis fruits coming along. 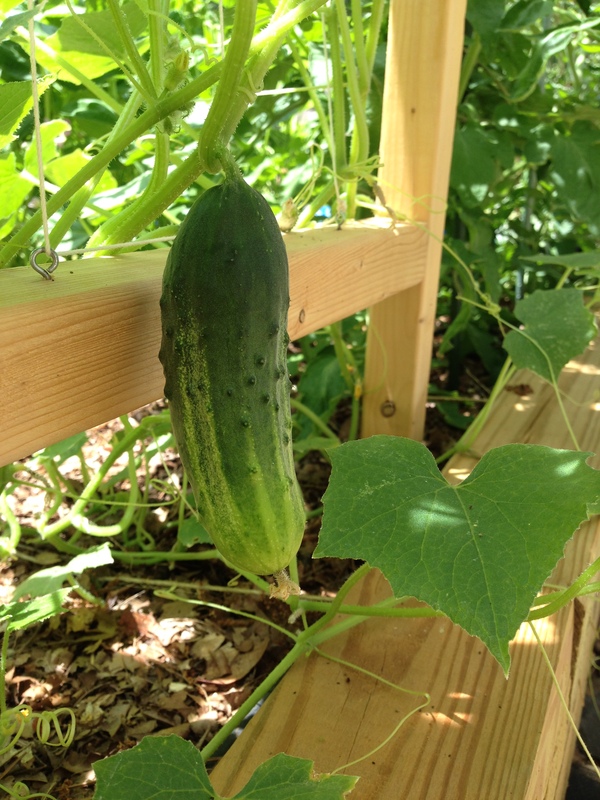 My first ‘Arkansas Little Leaf’ pickling cucumber is ready to harvest! Will it hold on until I have more, or can I make just one pickle? First squash flower (male), first nasturtium flower today. 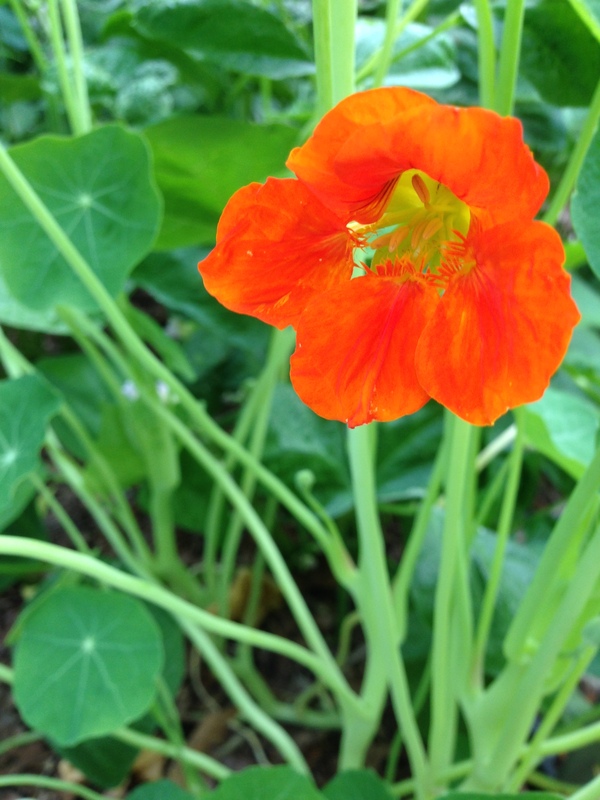 First nasturtium flower. They taste peppery. Try one. This entry was posted in 2014, Garden log and tagged cucumber, gardening, grow your own food, nasturtium, vegetables by missinghenrymitchell. Bookmark the permalink. I would very much like to grow some nasturtiums in my pots. I wonder if it is too late to plant seeds. Perhaps if you made just the one pickle you could then bronze and mount it, like baby’s shoe. My husband tells me the Co-op shut down in 2008. He has spoiled my evening. Wonderful!! New to veggie gardening. Bought one zucchini plant, think it’s ok to plant in a container? How big is the container? If the plant is not specifically a smaller (dwarf/bush/patio-type) variety, get a BIG container. Around here, individual zucchini plants grow to be 3-5 feet tall and wide. Your local county extension agency can tell you what to expect with local conditions.